Influenced by the back-to-back action planning at the office, I was inspired to do my own planning for one thing I love - travel. 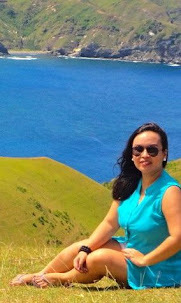 In the year 2011, I, hubby and Akisha have been to different places across Luzon, Visayas and Mindanao. Most of our travels are of course, courtesy of the local airlines' promo fares. I wish promo fares now are still the same as last year. I remember I was able to book my whole family (6 adults and 1 child) for only P1.4k via Airphils. Now, P1.4k is not even enough for 2 pax. Anyways, in 2011, we've been to several places, mostly islands and beaches, in the Philippines, including Bohol, Coron, Davao, Subic, Tagaytay, Pangasinan, Caramoan and Cebu. Next year, guess what? We are still on an island and beach phase! First on our list is Dumaguete and Siquijor. I've been hearing good reviews about Siquijor and how romantic and serene it is. So without a doubt, during the Cebu Pacific piso fare recently, I booked a ticket to Dumaguete, the gateway to Siquijor. Coco Grove Beach Resort is perhaps the most famous beach resort in Siquijor. Based on the photos and the reviews I read from GTalk (a forum), the place is perfect for honeymooners. It is quiet and romantic, contrary to the nyth that it houses mythical creatures like Aswang, etc. It has a view of perfect sunset. After a laid back day in Siquijor, we plan to go to another famous destination in Dumaguete, Apo Island. Based from what I've read, it is in Apo Island where you could see pawikans. So I am sure I will enjoy snorkeling here. A trip we plan to share with the whole barkada is a Masbate escapade. Though Masbate is not as popular as Boracay or Coron, I've read that it also has pristine beaches and a majestic falls. Our first stop would be Bontod Reef, a sandbar about 15 minutes away from Masbate City. We plan to stay at the Rendezvous Hotel and rent a boat (I was told it is P500/boat) to Bontod Reef where we will spend a day of picnic lunch and beach bumming. And what is a Masbate trip without a glimpse of Catandayagan Falls? It's a falls that "falls" into the sea. We will also have an island hopping tour of Ticao Island where the famous luxury resort Ticao Altamar is. My friend also wants to do whaleshark interaction in Donsol, which is about 3 hours by boat from Masbate City. At the middle of 2012, we will set foot into the island of the world's sweetest mangoes - Guimaras. We plan to stay in La Puerta al Paraizo or Raymen Beach in Alibuhod. Towards the third quarter, we will finally have a glimpse of the wonders of Sablayan, Mindoro Occidental. Since we are only two, we might tag other friends or joiners so that we can save on boat rental which is P6,500 at a minimum, going to Apo Reef, the next thing to the Great Barrier Reef in Australia. Here's a sneak peak of the underwater world in Apo Reef. And finally, we will stay for a night in the solitary Pandan Island Resort. I hope we could still get tickets for El Nido, Siargao, Cagayan de Oro or Laoag towards the end of the year or early 2013. Of the four, i highly prioritize El Nido, which has long been a dream vacation of mine. edit: Finally, we have tickets for El Nido! thanks sis! magkano nakuha mong fare to siargao? daan pa yata yun ng cebu? How I wish I already have a stable income so I can also save up for future travels! I really want to travel.. It was just unfortunate that my parents are not too fond of traveling.. >.< El Nido has been a dream vacation spot for me too! I want to go to Coco Grove Beach Resort too. I think I'll faint if I ever swim with a whaleshark. Hehe! thanks sis. tara na, sama kayo sa masbate para makita nyo yung falls!